A selection of work on the social, technical and economic tools being developed by the End Use Energy Demand Centres to increase sustainable transport. 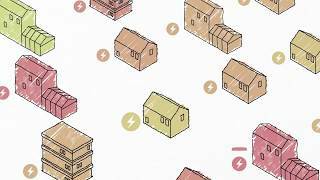 Transport is widely recognised as a sector with much capacity for reducing energy demand (and thus greenhouse gas emissions), yet little has been done in comparison with, for example, the electricity field. The six RCUK End Use Energy Demand Centres look at transport from a variety of angles, aiming to offer policy makers, industry and consumers the tools to address reducing UK transport energy demand. Sustainable transport is a major focus of a number of the Centre for Innovation and Energy Demand (CIED)’s projects. For example, Innovations in Urban Transport (led by Dr Tim Schwanen of the University of Oxford) seeks to understand how low-carbon transport initiatives can be introduced into cities. What are the problems and opportunities of introducing infrastructural ‘hardware’ (cycle lanes, electric vehicle charging and light rail systems) and social ‘software’ (car and bicycle sharing schemes, congestion charging) into modern cities? This kind of large scale introduction of energy demand reduction measures will be needed if the UK is to continue to meet its carbon emissions reduction commitments. The economics of transport is also a key area for CIED. Their researchers work to untangle the complexities of ‘rebound’ effects wherein energy efficient vehicles getting more miles to the gallon can actually lead to people driving more. Other sustainable transport related activities include researching the expectations regarding the rise of automated (or driverless) vehicles in freight and delivery, and regarding the future of personal mobility. In the latter project attention is specifically directed towards electric vehicles and car sharing. Electric vehicles and cities are also on the radar of the Centre for Energy Epidemiology (CEE). CEE has a number of projects investigating how integrated low-carbon, sustainable transport infrastructures could help consumers detach from the notion of personal, fossil-fuel powered vehicles. The Mobility As A Service project (led by Dr Maria Kamargianni at University College London) looks at the idea of a seamless service giving consumers access to cars, bikes, buses, trains etc. as appropriate to their journey. In future it could be possible that services of this type would make the most efficient use of the existing means of transport and reduce the need for private vehicles. The project has used innovative techniques to gather data such as a smartphone app that logs users’ journeys and locations to build up a picture of the transport modes being used. CEE also looks at the shipping sector and ways in which cargo ships could be made more energy efficient by improving their technical performance as well as investigating ways to ensure that they use all their available capacity. Other CEE projects involve using MOT test data from the Ministry of Transport to learn more about how people use cars. Shipping is one of the of the forms of transport the Centre for Industrial Energy, Materials and Products (CIEMAP) led by John Barrett at the University of Leeds looks at too. CIEMAP carry out energy demand research into the industrial supply chain. The team look across the UK’s entire industrial and manufacturing system for places where energy reductions could be made. One main area is researching where materials (for example for building houses or cars) is transported from before it is used in production. CIEMAP researchers mapping the UK’s Carbon Footprint note that materials and products shipped from abroad are essentially a UK contribution to global greenhouse gas emissions even though they do not take place on UK soil. CIEMAP’s remit also covers product lifetimes. For example, cars are usually designed to run for over 20 years, but many people feel the need to replace or upgrade their cars after a few years of ownership. CIEMAP look at consumer and manufacturer attitudes to cars and what changes could be made to reduce over production of vehicles and the attendant energy use. The Commission on Travel Demand led by Professor Greg Marsden of the University of Leeds has recently been launched by the Dynamics of Energy, Mobility and Demand (DEMAND) Centre. The independent commission brings together leading experts in the way travel demand is represented and forecast. The anticipation of future demand and the understanding of how it can be shaped is critical to the anticipated emissions burden which will need to be addressed by other means. Major changes in travel patterns across different spatial scales, different parts of the population and for different activities are already happening and we need to know why and whether these can be shaped to drive down the energy requirements of everyday living. The Commission builds from the wider DEMAND Centre work which looks extensively into social practices around transport. For example how people use cars for transporting goods and shopping and for business travel. They are also at the forefront of defining transport poverty, wherein people can be denied access to work and social opportunities due to being unable to afford to travel, or being outside the transport infrastructure. The Centre for Sustainable Energy Use in Food Chains (CSEF), led by Professor Savvas Tassou at Brunel University London focusses on the use of energy over the lifecycle of food products ‘from farm to fork’. This process of course involves transport, for example the transportation of raw ingredients to factories and of processed foods and packaged foods from factories to supermarkets. The Centre looks at the energy used both in the distances travelled by vehicles during the production process and the energy used for cooling products while in transit. Reducing the carbon footprint of refrigerated vans is a key research focus for CSEF. The work looks at the reduction of cooling demand during food transportation through improvement of the thermal properties of refrigerated transport vehicles and containers and reduction of emissions from on-board refrigeration systems. A recent project supported by Transport for London (TfL) is focused on quantifying the contribution of diesel powered refrigeration systems on refrigerated vehicles to diesel emissions in the London area. The aim is to encourage the adoption of more energy efficient food distribution practices and the adoption of new less polluting refrigeration technologies by the food industry. The Interdisciplinary Centre for the Storage Transformation and Upgrading of Thermal Energy (i-STUTE) also look at refrigerated transport. One particular project deals with home delivery vehicles, which are used by most supermarket chains in the UK. Christina Francis of London South Bank University, is investigating both direct emissions from refrigerated vehicles – resulting from refrigerant leakage – and indirect emissions which result from the fuel energy used to provide both motive power for the vehicles and input power to their refrigeration systems. The project is being carried out in conjunction with a refrigerated vehicle provider and a leading UK supermarket chain. The project has involved the use of simulations to analyse home delivery vehicle energy and carbon emissions performance during a typical day, as well as on-board monitoring of key parameters on a number of vehicles over the course of a year. Another i-STUTE project involves an innovative approach to harnessing waste heat generated by transport. The project, carried out by Akos Revesz of London South Bank University, looks at ways that heat generated in underground tunnels can be redirected to contribute to heat local homes above the tube lines using ground heat exchangers. This brief summary shows the many facets of EUED research into reduction of transport energy demand. Transport is a complex area with many challenges to unravel but also great opportunities to effect major reductions to the UK’s carbon emissions. The Centres aim to provide evidence-based practical advice to help the government, industry and consumers tackle the problem.